Some people may be skeptical, but the truth is, Augmented Reality (AR) and Virtual Reality (VR) are the future. We have covered countless examples in the past about how this technology is already being used and the benefits it brings to many different industries including culture and education, the hospitality sector, journalism, and more. Of course, while the 360 Stories team has a particular interest in the use of this technology in the Travel, Tourism and Hospitality spheres, in particular, we understand that the devil is in the details, and a lot of uses are still being tapped into. This is particularly true when considering the possibilities of this technology for marketing any kind of product or experience. V-commerce is on the rise, and it has been proven time and time again that AR and VR truly do affect consumer-brand interactions. With this technology, people are able to really visualize and experience products while they are considering making their purchase. We know that VR is extremely immersive and engaging and that it leaves consumers with longer lasting impressions. 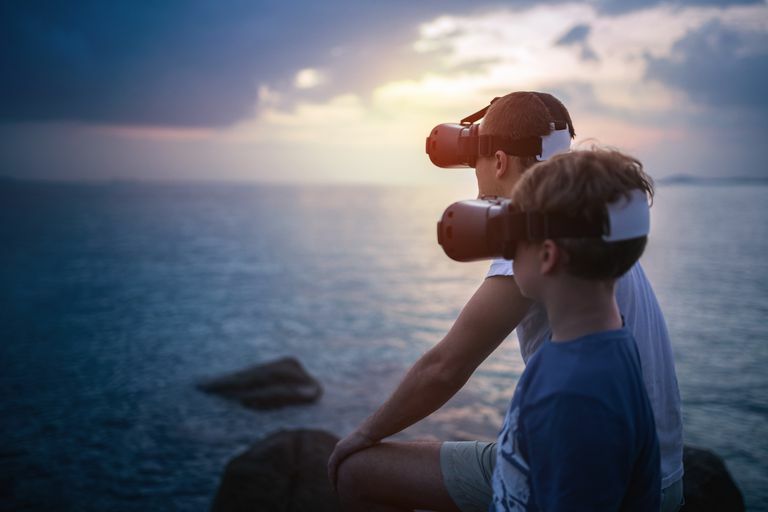 Predictions show that “by 2020, more than 1 in 5 internet users in the US will experience VR content at least once a month.” The potential for this technology is undeniable when it comes to the travel industry. With more and more consumers opting to purchase experiences over products, VR caters to their needs by giving them a quick taste of what they can come to expect during their flight, stay in a hotel, tour and more. 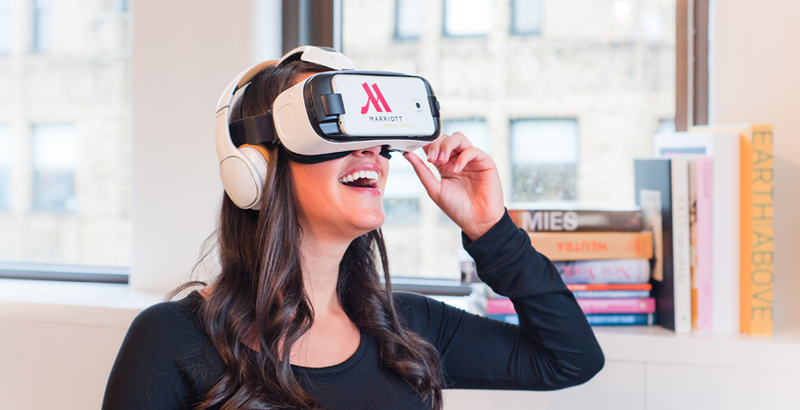 Marriott had a campaign that can give you an idea of how this technology might work in the travel industry overall. Take a look at the video below. This example shows how giving a taste can really entice people who were vaguely interested in traveling to a particular destination, can wake up their inner dormant wanderlust and get them into the mood of making that step. Itching travelers will want to get as much information and details as possible about where they are going to stay before clicking that “book now” button. While online listings do give a general idea of what kind of amenities to expect or what kind of location it is in, images and videos aren’t always very accurate and can be deceiving. Using Virtual Reality technology, however, gives the guest an opportunity to really look at their options thoroughly, possibly saving arduous time and a whole lot of guesswork in the process. This means being able to look at a digital version of their hotel rooms and nearby attractions before making their final decisions. It’s the kind of try-before-you-buy tactic that has been around for ages, only now it’s revamped like never before thanks to technology! 360 Stories is looking at ways to take things a step further and completely streamline the user experience by offering the process of booking virtually as well. Picture browsing through a hotel room wearing a VR headset, liking what you see, and using the very same interface to book the room on the spot. How convenient would that be? The same logic can be applied to other aspects of your travel experience. For example, you could use the 360 Stories app on your headset, explore local attractions and sites, learn interesting and unique pieces of information about them, and book actual tours all in one place. It will absolutely revolutionize how we travel. Working with hotels, travel agents, restaurants, museums and other key businesses in the travel industry will make this possibility a reality in the very near future, and we are already taking steps to get there sooner than you think! The VR experience can be useful in places other than the comfort of your own home. Already, airlines and hotels are beginning to understand how effective VR technology can be in improving customer experience and promoting local businesses and tourism. Qantas recently researched what customers want during extra long flights, and the results are interesting, but not surprising. People would like a feeling of detachment, that is to say, the ability to shut out their surroundings and picture themselves elsewhere. This is particularly understandable for those who have a fear of flying or people who really just want to use the time in the flight to destress and shut everything out. 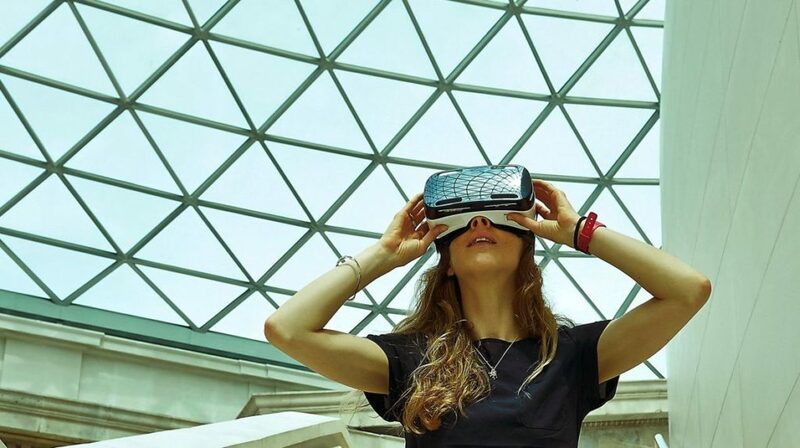 With VR technology, travelers will be able to do just that. They can picture themselves walking around the Eiffel tower or laying down at a beach somewhere instead of sitting in a cramped airplane. 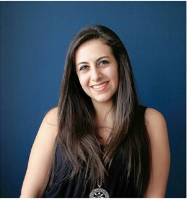 Moreover, they will be able to get location-specific information about the destination they are traveling to. 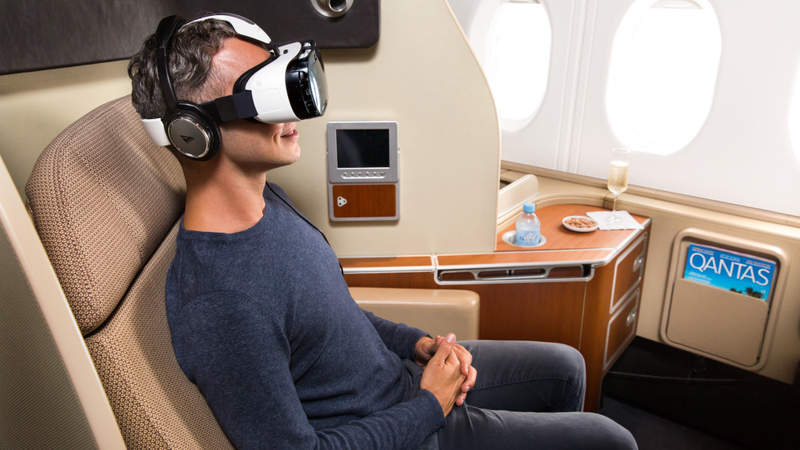 Several airlines (Alaska Airlines, XL Airways, Joon, Small Planet Airlines) are already adopting this new technology, giving their passengers virtual reality headsets on flights where they can watch feature films, 360-degree documentaries, or even trailers of a Broadway show and then book tickets to see it in real life later, for example. The possibilities truly are endless. Meanwhile, hotels are also embracing VR technology as a means to provide guests with a virtual experience of different tourist attractions available nearby. The principle is the same, give travelers a chance to immersively understand the experiences available to them before they book. This can lead to an increase in bookings overall. VR headsets at hotels might give guests a preview of a tour excursion and giving them an accurate idea of what to expect, and then giving them a chance to sign up for the tour they liked the best. Pilot experiments so far have shown that this method is a real hit among guests! The potential is becoming a reality as we speak! 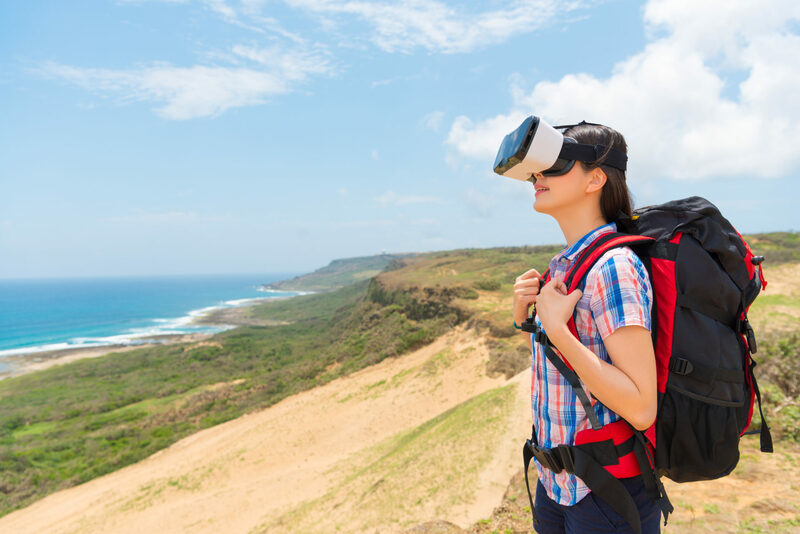 Virtual Reality technology is mutually beneficial for both those who want to travel and travel representatives who want to accurately communicate the contents of what they can offer them. The immersive nature of VR works so much better than brochures or photo galleries. And with 360 Stories we add the invaluable benefit of keeping things genuine and social. That is to say, we give users the opportunity to add their own personal stories, experiences and knowledge straight on to our platform for other travelers to learn from. According to a recent survey carried out by Forbes, 77% of people who use VR want more social engagement, and that is something that we completely understand and promote through our platform as well.